MM-team – Marítima Mercantil S.A.C. Our teams is conformed by retired navy officers who have close relationship with the local authorities and terminals, and active merchant marines who are all of them constantly coordinating the different necessities that shipowners and operators might have. Our people have an enormously capability in arranging any type of requirements that vessels could have in our service ports. In general perspective, we are ready to solve any unexpected problems and requirement from the master, superintendent or operator at any time (24/7). MM is committed to providing a safe work environment and fostering the well being and health of its employees and others involved in our operations. 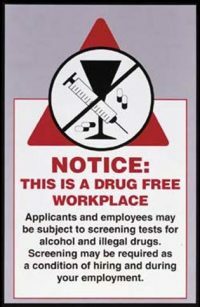 The use of any illegal drugs, possession, distribution or selling is strictly prohibited in our offices and work environment. The consumption of alcohol is strictly prohibited in our workplace. The excess consumption of alcohol takes a serious effect on your health and habits. It makes an individual not able to give an effective function in his/ her working program which gives a lower standard of principles to the owner of this company and likewise owners of vessels.